"Freediving is about silence, the silence that comes from within." Many of us dream of being a mermaid and explore the deep blue. 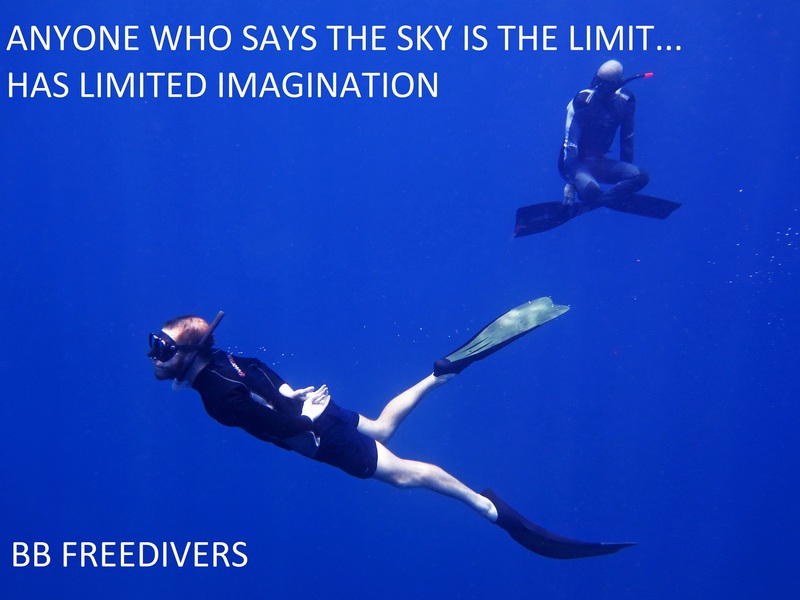 At BB divers we offer that experience of ultimate freedom on our freedive trips. If it is swimming between the beautiful corals in Koh Rang national park, encountering a whaleshark on Hin Luk Bath or to descend to the mystic wreck HTMS Chang, the thrill of freediving is always overpowering and creating the will to go longer and deeper on your freedive adventure. Freediving is a beautiful sport offering an ecstatic feeling of freedom once you are under in the deep blue. However, to freedive in safety we recommend to always freedive with a buddy or guide, and to get the proper training before taking of on this activity. If you do have a license to freedive then you can join one of our daytrips with your buddy, our guide or instructor. Though freediving on a line is perfect for training and practise, at one point it is time to go and explore the deep blue, use your skills and enjoy the freedom of movement on an exotic coral reef. If you are a "solo" traveller we can organize a guide to buddy up with you for the freedive experience. Are you with a buddy freediver then you are ready to join our trips to the absolute favourite freedive spot HTMS Chang shipwreck or for some relaxed coral dives to Koh Rang National park. Some freedivers are confident under water but could do with some more experience or practise, if this is you then do not hesitate to book a day freediving with a Padi freedive instructor, who will be watching your techniques and improve where possible.